BarkerBlue’s As-Built Data Management solution goes beyond the management of CAD-related information to include a wider range of facilities data management, archiving and organization. 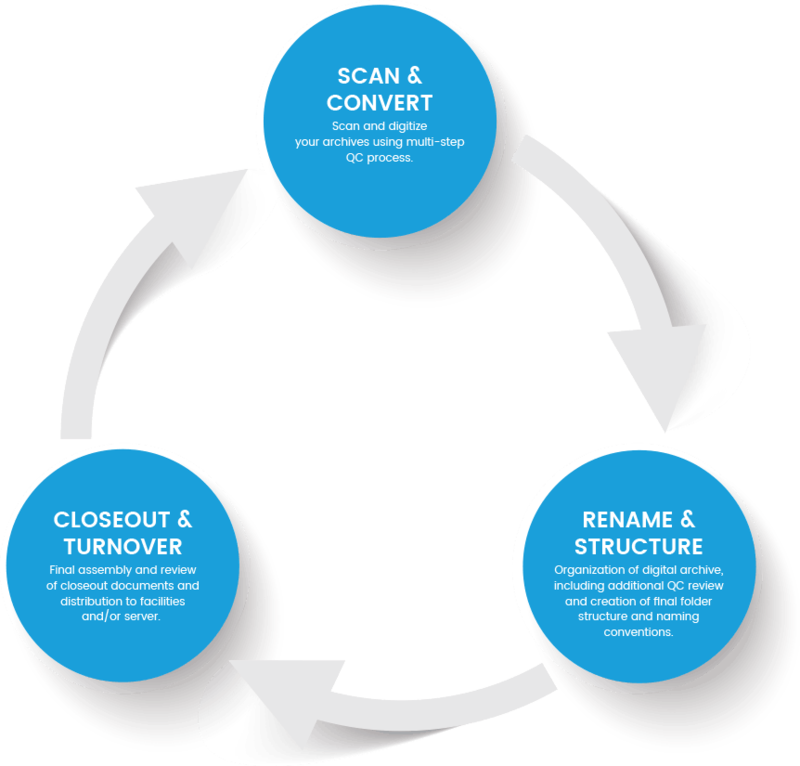 Our five-step process ensures the integrity of every turnover package and puts in place the structure, processes and technology needed to keep the record accurate and up to date for the life of the project. 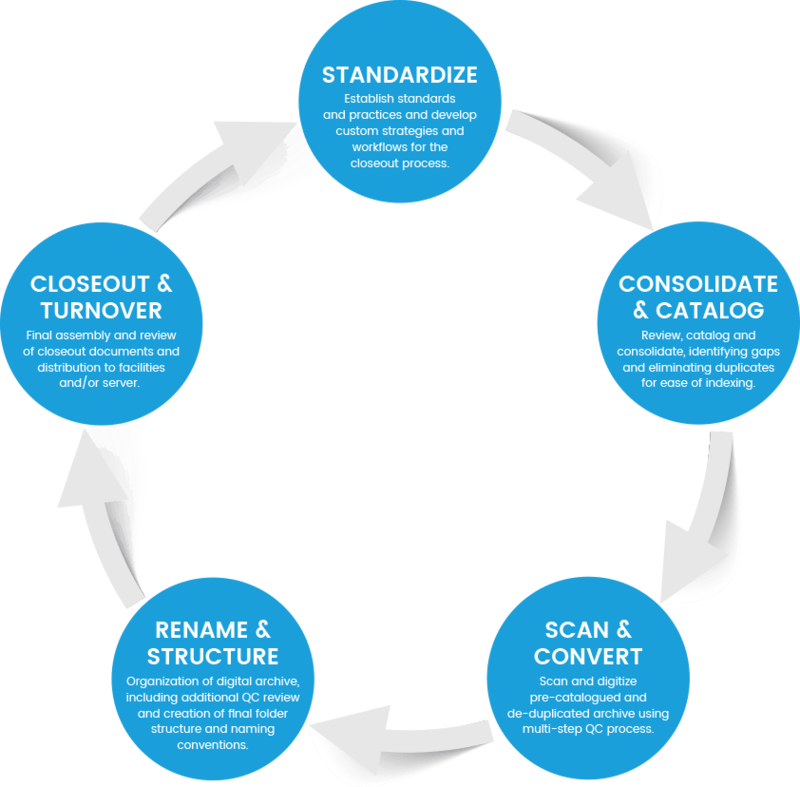 Archiving is the process of digitizing analog information and uploading it to a cloud or network. At BarkerBlue, Archiving is a three-step, ongoing process that accounts for remodels, additions and all the other changes to the building, equipment, and systems that can occur, giving owners and facilities teams complete access and control over their documentation for the life of the building.